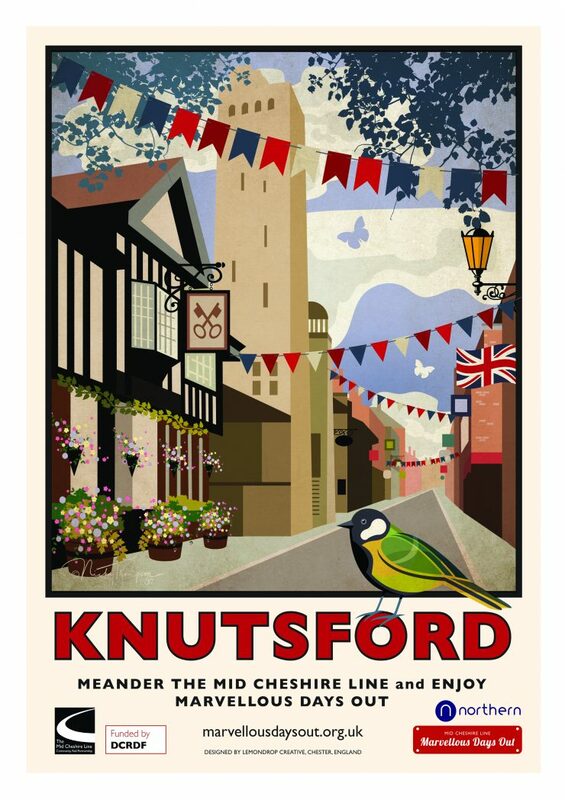 The Mayor of Knutsford says: “Enjoy Knutsford’s heritage, quaint streets, great eating places and lovely shops. Knutsford has a rich history. Literally! Whenever I visit the station, I often wonder whether Henry Royce of Rolls-Royce fame, who lived in the town, used the Line when he travelled into Manchester for that notable meeting with Charles Rolls at the Midland Hotel in 1904? The town is certainly classic and vintage. Visit the town and you will revel in the small shops and lovely eating houses that you find on Princess Street, known locally as Top Street and King Street, known as Bottom Street. Be prepared for choice. Knutsford has probably the best selection of restaurants and cafes in Cheshire. My wife, Joan, always likes to engross herself in the many dress shops, art galleries and other independent establishments. You will find me checking out the book shops or perhaps taking tea at one of the many tea rooms. The Curzon Cinema, with its own café and bar is well worth a visit, especially as it is right next to the station. Showing the latest block-busters and Curzon Classics, Knutsford’s small cinema with its barista coffee and yummy cakes has a devoted audience. If you like a walk and hold a National Trust card, you will appreciate a visit to Tatton Park. 10 minutes along Bottom Street, you will enter the King Street gates of Tatton Park and then it’s another 30 to 40 minutes’ walk up to the Cheshire’s magnificent stately home. With 1,000 acres of the deer park to explore and centuries of history awaiting at the neo-classical mansion and Tudor Old Hall, you will not be disappointed. There are also gardens and a working farm. Make sure, before the trek back to the station, you relish the home grown, home made and seasonal produce in the Stables Café. Even some jam or chutney from the Housekeeper’s Store to take home on the train?